Gypsy Scholar: -ists responsible for latest terrorist atrocity? Some political leaders responding to recent terrorist attacks in Western countries pointed to -ISTs belonging to -ISM as the responsible party and promised that the -ISTs who carried out the attacks will be specifically identified and targeted. Among the -ISTs who might have attacked are lone wolves radicalized by -ISM, -ISM, or -ISM, all of the Middle East. However, the -ISM of northern Nigeria has taken credit for inspiring the attacks. While this is a distant possibilty, the larger -ISM, to which the Nigerian -IST faction belongs, is more likely to have played a role in the -IST terrorist actions. But Pakistani -ISMs also claim a role, as do Southeast Asian -ISMs. 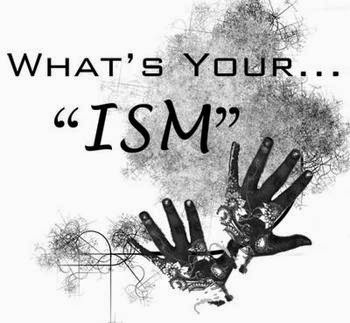 To be fair, of course, we must acknowledge that any -ISM at all could be responsible, the vast majority of them having nothing to do with the -ISM that has nothing to do with -ISMLAM.